Cue the obligatory training montage and iconic theme music…Like its best known fictional sports hero, the City of Philadelphia is looking to pick itself up off the ethical mat and take a first step toward regaining the public trust when it comes to political decision making and government action. Battered and bruised by an ongoing ethics investigations against its former mayor, allegations of improper political activity on the part of city council staff, and a sordid history of pay-to-play corruption, it appears as if Philadelphia and its Board of Ethics are finally working to change the culture of politics in the City of Brotherly Love, one reform idea at a time. The newest Philly reform effort of note is the city’s lobbyist registration regulation, which was signed into law in June 2010 but will not go into official effect until January 3, 2012. This regulation, labeled as Regulation No. 9 by the Philadelphia Board of Ethics, will for the first time in the city’s history require individuals who attempt to influence legislative or administrative action, or who endeavor to obtain city contracts, to register as lobbyists. In addition, the rule will place significant disclosure requirements on most lobbyists, lobbying firms, and lobbying principals operating in Philadelphia. Specifically, the regulation will require most registrants (those expending more than $2,500 or lobbying more than 20 hours per quarter) to periodically report their lobbying expenditures on gifts, hospitality, transportation, lodging and other associated activities. In addition, the new rule will mandate that registered Philadelphia lobbyists publically divulge basic information about the nature of their lobbying contacts and communications with city officials and employees. 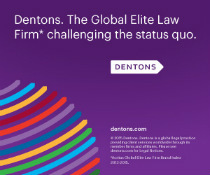 Beyond these fundamental disclosure requirements, Regulation No. 9 will also prohibit contingency fee lobbying among registrants, mandate lobbyist training, and impose a number of conflict-of-interest rules on city lobbyists. In addition, the regulation will prevent registered city lobbyists from serving as officers for the political committees and political action committees of candidates seeking elected office in Philadelphia. Also, interestingly, the new rule prohibits any registrant from transmitting, uttering, or publishing any false, forged, counterfeit or fictitious communication to a city official or employee for the purpose of influencing legislative or administrative action. How broadly the false statement provision will be enforced moving forward will be interesting to watch. All told, however, Regulation No. 9 appears to take significant steps toward bringing Philadelphia’s municipal lobbying rules up to speed with those in place in other major cities around the county. Enactment of Philadelphia’s lobbyist registration regulation comes on the heels of another noteworthy reform put into place by the city council and Board of Ethics earlier this year. This reform, known as Regulation No. 8., went into effect in late March, and is designed to severely limit improper, partisan political activity on the part of city officers and employees. Like a mini-version of the federal Hatch Act, Regulation 8 seeks to prevent appointed Philadelphia officials and employees from using city resources to engage in partisan political activities. Likewise, the regulation seeks to prohibit city officials and employees from utilizing their status or title as a means of influencing or coercing participation in political activities. Along these same lines, Regulation 8 endeavors to prevent improper, partisan political behavior through the following mechanisms: (1) a ban on collecting, receiving, and soliciting political contributions for a partisan purpose; (2) a ban on membership in national, state, and local political party committees; (3) a ban on political campaigning and political management activities; (4) a ban on circulating nomination petitions or papers for political candidates; and (5) a ban on get-out-the-vote participation when such activities are organized or sponsored by a political party, candidate, or partisan political group. 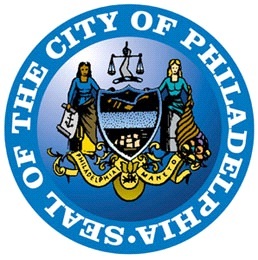 In practice, these provisions are designed to preserve a proper separation between impartial policy making and partisan political activity by city government officials and employees … a line that has not always been so clear in Philadelphia. Whether Regulation 8 will accomplish this goal moving forward, however, remains to be seen. This is particularly the case in light of a few of the broad carve-outs contained within the regulation. Exceptions to the political activity restrictions discussed above exist for a wide range of partisan political behavior, including engaging in most political activities organized by civic, community, labor, and professional organizations, and campaigning for or against referendum questions and municipal ordinances. Likewise, the regulation also exempts city council employees from having to comply with several of the aforementioned prohibitions, including the exclusion on partisan political campaigning and management. It is doubtful that the loopholes in Regulation 8 are broad enough to swallow the entire rule, but how they affect overall compliance is certainly something to keep an eye on in the future. For many, reforms like Regulation No. 8 and Regulation No. 9 might seem like too little, too late on the part of the Philadelphia city government and Board of Ethics. After all, over the past few decades, the City of Brotherly Love has become an environment more synonymous with appearances of cronyism and corruption than transparency and good governance. But in a city known for its comeback stories, I wouldn’t count out meaningful political reform quite yet.